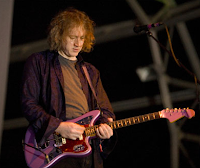 To get the thick, dreamy sound he perfected in My Bloody Valentine, Shields would customize the tremolo system for his Fender Jaguars. He had the tremolo arm on his guitars extended considerably and uses tape on one end so that the tremolo arm sits high and is extremely loose so he can strum and manipulate it at the same time. 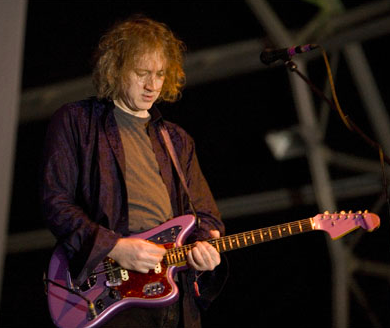 Shields also plays Fender Jazzmasters, although his first one was actually a Jazzmaster copy by Ibanez.